Abdalrahman Alshorafa, is a Palestinian architect, born in U.A.E. in 1988. and grown up in his home town Gaza city. He started his undergraduate studies at the Department of Architecture at The Islamic University (IUG) in 2006, and completed his BSc. in Architectural engineering with a very good GPA in 2011. Along his last 4 academic years, he appeared as a representative of his intake, and did plenty of voluntary and extra-curricular work. Additionally he was nominated by the external relations affairs of IUG, as one of the best 30 students of the university. Abdalrahman worked for the Ministry of Sport and Youth. At the same time, he stared working for several consulting offices as a freelancer, designing and supervising many architectural projects. He was selected to be a teacher assistant at the Department of Architecture in IUG, discussing and following up students in many courses. Further he is a member in numerous professional societies. Athar studied Architectural Engineering at the University of Birzeit, focusing her studies on environmental and social approaches in design. Further, she participated in training courses regarding Heritage Identification (connecting heritage sites). Additionally she fulfilled an internship at a centre for cultural heritage preservation where Athar discovered her interest in the ecological spatial realities of old structures. Therefore she worked as a consultant architect with United Nations Relief and Work Agencies (UNRWA) in cooperation with GIZ where she learned a lot about the architecture of exile regarding human rights under a social and political background. She participated in conferences, exhibitions and joined workshops with DAAR- Decolonizing Architecture Art Residency - where her interest in urban tactical intervention grew. Aya El-Wagieh was born in 1989. She graduated from Ain Shams University Department of Urban Planning and Design in 2011, ranked third of her class, with the “Waterfront Revitalization” graduation project. Aya showed great interest in team work and participation with others and therefore became a partner in a soft skills student activity. She was working as a moderator, head of quality control and finally as a consultant. After graduation, Aya worked for integrated development Group (IDG) as a researcher and designer, and then got a position as a teacher assistant at the university. Believing that getting exposed to different cultures and schools widens a person’s scope and perception, she participated and organized different workshops and summer schools funded from DAAD and Czech Republic. Finally, she started her pre-masters studies at Ain Shams University where she got interested in the relation between planning and governance. 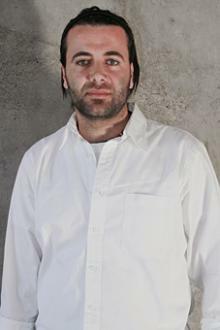 Ayham was born in 1986 from Palestinian family in Syria and graduated with a bachelor degree in Architecture in Syria. During his time of study he developed several interests in urbanism, arts, music and sociology. In 2008 Ayham won the third price in an architectural concept competition for Arab and European students, the ‘Sham Spiritual Oasis’. One year later, in 2009 he participated in several urban workshops in Damascus, Homs and Hannover. In 2011 Ayham decided to work with an international team on different urban projects in Homs, Syria; such as different master plans of Palmyra (World Heritage Site) and Greater Homs as well as the Strategic Plan of Residency in Homs. 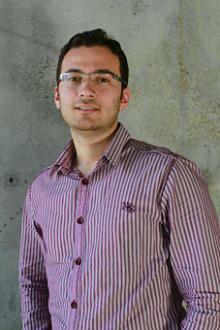 After that he moved to Jordan in 2012, to work on several architectural projects in Amman. Daniel was born in 1985 and studied Architecture and Urban Planning at the University of Applied Science Karlsruhe, Germany from 2005 until 2010 and graduated as Dipl. Ing. (Fh) in Architecture. In 2009 he participated in the European students exchange program (ERASMUS) to intensify his intercultural experience while studying for one semester at the Universitat Politècnica de València, Spain. There he attended classes considering International Urbanism and Urban Development. Since his graduation he worked as freelancer in cooperation with several architectural practices in Germany. From 2011 to 2012, he worked as an adviser in Urban Development for the German Cooperation in Development (GIZ) in Guatemala, where he was responsible for the elaboration of a methodology for an area focused zoning plan in the municipality of Poptún. Dina (*1988, Cairo, Egypt) received her Bachelor of Urban Planning and Design at the Faculty of Engineering at Ain Shams University in 2011. After graduation, she worked as an Architect and Urban Designer at a consulting Architectural and Planning firm (IDG Matrix) and on the meantime joined some pre-master courses at ASU. In 2010 during her undergraduate years, she was nominated to join the EU Project “CEIAC”, cooperated by Ain Shams University and Stuttgart University. 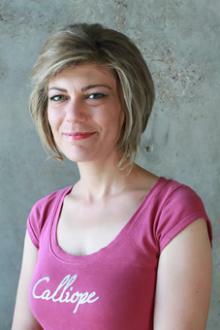 Within CEIAC she had an intensive training at Stuttgart University on Environmental Planning and Ecosystem Design. Dina participated in the preparation of the “Developing Strategies and Priority Projects for Lake Maryout", developing the scenario “Minimizing the ecological conflicts” within Lake Maryout. In 2008-2009 she pursued to work in an environment with a pretty wide spectrum of disciplines (i.e. Architecture, Construction and Landscape). During her pursuit, she had internships in different engineering firms such as ECG (Engineering Consultants Group S.A) and Centre of Planning and Architectural studies. Eric was born in Leipzig in 1988, where he also went to school. 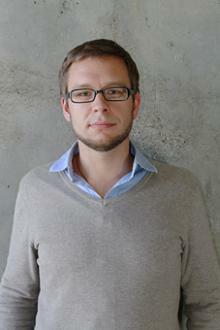 He finished high school in 2007 and started to study Design at the Hochschule Anhalt in Dessau. For his civil service, Eric interrupted his studies in 2008/2009. After serving at a youth club in Leipzig, he decided to travel to Australia to work and get to know a different culture. In late 2009 Eric proceeded his studies and in winter 2010/2011 he absolved an exchange semester at King Mongkut´s Institute of Technology Lad Krabang in Bangkok, Thailand. In spring 2011 he joined a group of architecture students at Hochschule Anhalt to design an emergency hospital for a rural area in Guatemala. In February 2012 Eric received his Bachelor Degree in Design and subsequently went to Guatemala, to construct the emergency hospital with his team. 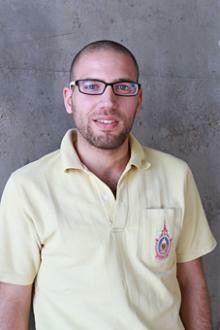 Since September 2012, he is joining the IUSD MSc program to broaden his academic horizon. 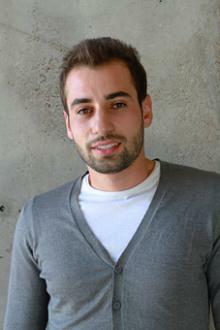 Fadi was born in 1987 and raised between the city of Baalbeck and Beirut. In 2005, he graduated from high school with honors. While running the family business, he studied Civil Engineering at the American University of Beirut (AUB). During 2008-2009, he carried out urban planning and engineering projects (Dar al Handasah) and several GIS projects. In 2009, Fadi graduated from AUB with a B.E. in Civil Engineering. Since then he joined one of the top contracting companies in KSA (AGC) as a Civil Engineer to execute a key infrastructure project in Riyadh. A system of tunnels, roads, underpasses and bridges was to be built inside the Royal Airport of Riyadh to connect the center of the city. From this experience, he felt the necessity of sustainable development and design especially towards the underdeveloped MENA region as a tool of aid and advancement for the future; at the personal level he felt obliged to enhance his design skills and academic education on a multicultural level. This overlapped with the IUSD MSc goals, so he applied in 2012 and got accepted. Franziska has an academic background in Business and Engineering at WFI - Ingolstadt School of Management and the KIT - Karlsruhe Institute of Technology. She additionally enhanced her studies with programs in Energy Politics and Sustainable Development at Fudan University and Intercultural Studies with main focus on China at Tongji University in Shanghai. Franziska has practical experience in the field of user experience and service innovation: At Audi she orchestrated a team of architects and designers to realize an interactive Brand Lab, with the aspiration to bring crossdepartmental teamwork to the next level. At the KIT she had the chance to engage in exciting projects like the conceptualization of an online platform for energy visualization as well as the development of a service model in the field of “University 2.0“. She further supports the Karlsruhe Service Research Institute KSRI with the build up of its Service Innovation Lab SiNLAB. Franziska is highly interested in innovative concepts of urban planning, especially in the integration of ICT based services to enhance quality of living for city residents. 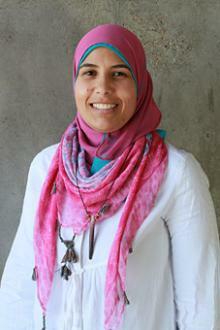 Heba Badr is a Geographic Information System (GIS) Analyst. She graduated from architecture department at Ain Shams University in Cairo in 2003, and was awarded a scholarship for a diploma in the GIS field. She has experience working with international organizations, non-governmental organization as well as the private sector. Primarily in establishing geographic databases, analyzing data and producing maps to be used in urban planning and urban studies. Heba is further concerned about community development and urbanism as well as the significance of community participation in the process of urban development with respect to adequate environment techniques. 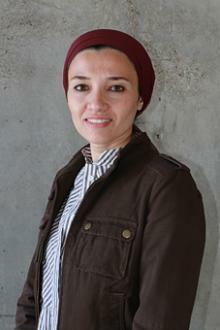 She felt the need to enrich her knowledge and experience within academic research so and therefore joined an Urban Development and Community Design program as postgraduate courses leading to master research at Cairo University in 2006 and later to the Integrated Urbanism and Sustainable Design program in 2012. Irmtraud Eckart was born in 1987 in Oberndorf, a small city in Austria near Salzburg. After graduating from high school far above average, she began her studies of Human Anthropology and Islamic Studies as subsidiary subject at Hamburg University in 2008. Within these years she also started to study Arabic. 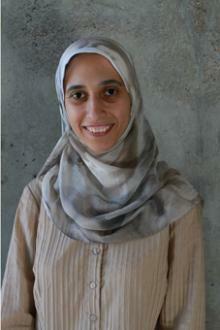 Soon Irmi found her mayor interest in the Arabic/Islamic culture and made it the main task of her studies. Therefore she changed universities and proceeded at the “Friedrich-Alexander-University” in Erlangen. There she concentrated on Islamic Studies (Arabic, Farsi, Turkish) in combination with Human Geography and a focus on urban planning as on the MENA region (Oriental Studies and Social Sciences). Before I passed her Bachelor graduation in 2012, Irmi improved her language skills on a one year exchange scholarship in Syria. The IUSD Master program is a consequent prosecution of her Bachelor thesis, which already dealt with sustainable city development in the MENA region. 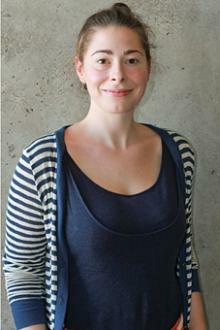 Katharina Frieling studied Architecture at the University of Applied Sciences in Wiesbaden, Germany. Since 2010 she focused her studies on urban design and was working as a tutor for the Institute of Urban Planning at her University. She started research on informal settlements in Latin America and Africa and attended an urban research week in Havanna, Cuba. 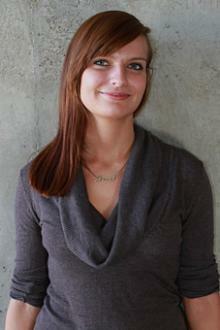 Katharina graduated in February 2011 as Dipl.-Ing. in Architecture. Her graduation project in a german context dealt with the urban rehabilitation and transformation on campus of Technical University Berlin and Berlin University of the Arts. During her academic studies she also worked in architecture offices in Stuttgart and Frankfurt and completed an internship at the architecture magazine AIT in Hamburg. After graduation she volunteered in a flood relief programme of the German NGO Grünhelme e.V., rehabilitating homes and infrastructure for flood victims in Pakistan. 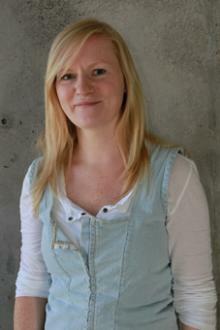 Returning to Germany she worked in an office in Frankfurt in the field of architecture and urban planning until September 2012. Besides her current postgraduate studies in the IUSD MSc programme, she is also working in an architecture office in Stuttgart. Katharina is highly interested in innovation for urban planning and design, especially in new approaches in developing urban areas. 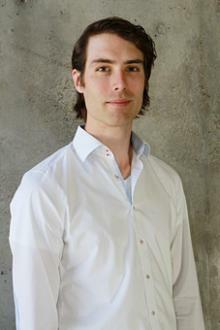 Lucas Krupp has a Bachelor of Architecture from Cambridge University. After working for several years in German and Swiss Architecture offices focussing on sustainable architecture and design, he continued working for Hosoya Schaefer Architects (Zurich). There, he was primarily responsible for developing a new communications platform for the Volkswagen Autostadt Wolfsburg that features facts and visionary approaches towards a sustainable urban future. Besides his scientific interest in sustainable urbanism, Lucas is highly interested in new ways of mapping cities for a better understanding of our urban environment as well as new approaches towards development economics. Mahy has obtained her Bachelor degree of Architecture from the faculty of Fine arts in Cairo after which she has received a Post Graduate diploma in Architecture design and has also completed the Certificate requirements for the Professional Program of Project Management at the American University in Cairo. Being an architect with 10 years of professional experience, Mahy has participated in the design process of numerous hospitality, residential and mixed-use projects in Egypt and the Middle East at many renowned design studios in both architecture and landscape departments. Since 2008, Mahy has joined one of Egypt's premieres Real Estate Companies for 3 years, during which she has gained vast experience in middle to large scale projects, after that she has initiated her own design studio. Mahy’s prior experience included participation in several community development projects, basically in Cairo, her area of residence, as initiatives from both NGO's and official organizations; she is also a member of an active Heritage initiative in Egypt. Mohamed ElGamal (*1987) studied Architecture from 2004 to 2010, at the Faculty of Fine Arts University at Helwan University in Cairo and Alexandria University in Alexandria, where he graduated 2010. His graduation project dealt with the problematic of Slums. He was working as Teaching Assistant in Architecture department faculty of fine arts at Alexandria University and later completed his academic studies doing a pre-masters program in the field of Urban Design and Architectural Sustainability. 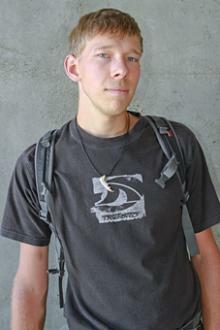 He especially focused his studies on the slums around the historical sites in Egypt. During this year, he participated in several workshops and international competitions about sustainability in Egypt, Greece and Serbia. Since February 2012 Mohamed worked as a junior architect at the BINAOMRAN studio for studies and design in Egypt, specializing in projects of city planning in KSA. Mohamed Mahrous (*1987) studied architecture at the Faculty of Fine Arts, Minia University in Egypt and received his Bachelor degree in 2009. His graduation project which was about designing a Cultural Centre in Upper Egypt tried to find ecological solutions to deal with the hot arid climate in the area. 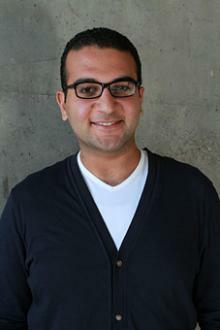 Since his graduation he has worked as an architect in several consulting offices in Cairo. There he has involved in developing concepts for architectural, landscape and urban designing projects across Egypt and the Middle East that varied in scale. He has also participated in many architectural competitions and workshops. Mohamed’s interest in sustainability and informal settlements development led him to cooperate with "NGO's" working in the slums of Cairo focusing on rehabilitation projects. Mohammed Alfiky (*1988), Graduated from Urban Planning and Design department (UPD) at Ain Shams University in 2011 and started his pre-master studies at the Architecture Department of Cairo University the same year. During his study at he started participating in workshops in the field of urban planning, some as an organizer others as a participant with UMAR and DAAD. Three of these workshops were in cooperation with students from Stuttgart University. That encouraged his interest in teamwork with people from different cultures and backgrounds; also this gave the impulse to apply for the IUSD MSc. program. Mohammed started his professional work while he was still studying, working as a Photoshop free lancer. After his graduation he worked for the Urban Development Centre (UDC), being responsible for creating reports and conducting GIS maps. 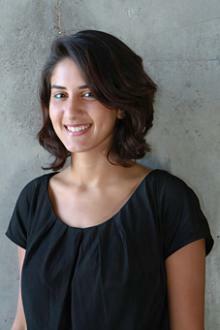 Nuha Innab is a Jordanian architect and artist, based in Amman, born in Kuwait in 1985. She first started her studies with political sciences in 2003 and ended up with a degree in architectural engineering from the University of Jordan in 2009. Since then Nuha worked on several projects, ranging from architectural branding, commercial and residential buildings and interior design up to landscape planning. She is most passionate for city related issues, which are influenced by human behavior and cultural aspects. This interest also shows in her graduation project, an urban regeneration project dealing with a very busy and critical area in down town Amman called "al-abdali". This area has many layers and conflicts, social- cultural, political and financial issues. Since her graduation, she tried to maintain that connection with the street level, not only by practicing architecture, but also working with different kinds of mediums and domains. Rasha Abodeeb(*1981) studied Architectural Engineering at Cairo University, where she graduated in 2004. After her graduation, she worked in several projects in Egypt and has a total of seven years of professional experience. 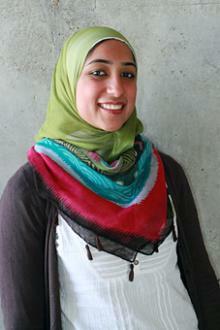 In 2006-2007, she has worked as a junior architect in Al Darb Al Ahmer project. Al Darb Al Ahmer, was redesining an open space as a member of the community architects at the Egyptian Earth Construction Association (NGO). In 2008-2009 Rasha was part of the Wadi El-Gemal project, a joint project between ECCA and MADA Architects design office. The main project was to support the sustainable use of natural and cultural assets in the red sea area. It won the Hassan Fathy Award for Architecture in 2009. Later in 2010, she joined MADA Architects design office. Throughout her professional career, Rasha focused in particular on Community participation, architectural conservation and designs of residential, commercial projects. Sana received her Bachelor degree in architectural engineering from Albaath University in 2004. After finishing her bachelor studies in architecture she completed a diploma research program as well a Master degree in urban planning. Her graduation master thesis was titled “Concepts of urban sustainability in planning modern residential areas in Syrian cities.” In 2006-2007, Sana worked as a research assistant in architectural design at the University of Al –Baath in the faculty of architecture. 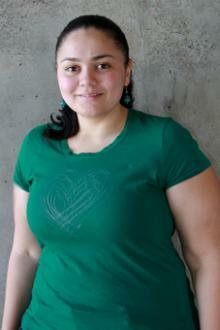 Later, from 2011 to 2012 she worked as a research assistant in urban design at the University of Damascus. 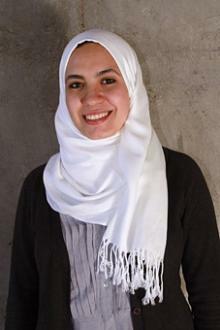 Alongside Sana worked as an urban designer in the General Company for Engineering Studies and Consulting, located in Homs, Syria, from 2004 to 2012 as project director on several Syrian sites. 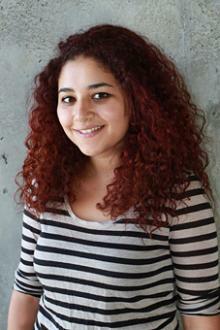 Sana joined the MSc Integrated Urbanism & Sustainable Design at Stuttgart University to enhance her knowledge and enhance her analytical methods. Sara Mohamed AbdelMeguid, was born in 1990 and raised in Kuwait until 2006 when she graduated from the New English School of Kuwait. She then headed to Egypt, her home country where she studied and graduated from the Arab Academy of Science and Technology in Alexandria in 2011 with a Bachelor Degree of Architecture Engineering and Environmental Design. During high school she was in the band where she played the clarinet. She also played Basketball to make use of her height. Sara is known to be spontaneous, talkative and very much interested in shopping. She considers herself as a hard worker and a coastal girl – Alexandria effect. Sary Abdullah (*1988 Baghdad/ Iraq) studied architecture at Baghdad University for one year and got his bachelor degree in Architectural Engineering from the Arab International University in Syria in 2011. He graduated as 3rd of his class with honours. 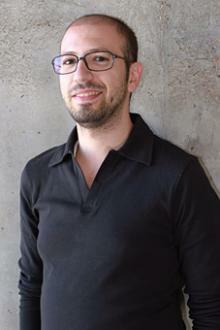 During his graduate studies Sary attended two international workshops in Bio-Digital Architecture and Creative art. His project was one of the two winning projects to be built in real scale. Additionally he attended several seminars in Urban Design and Sustainable Architecture. His bachelor thesis discussed the importance of environmental awareness and the need for architectural research centers in the middle east. Directly after graduation, Sary worked for four months at the consulting group al-Dar (A.U.D) for architecture and urbanism in Damascus. 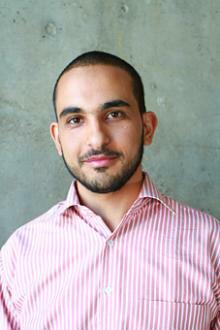 Next he moved to Baghdad to work with (ESSAT) bureau and Al-Danube Contracting for several months as an architect. There he was responsible for designing several projects and at the same time working on some residential projects on his own. Tariq Nassar (*1984) studied Architectural Engineering at Birzeit University in Palestine. Since his graduation he has worked in several different countries. 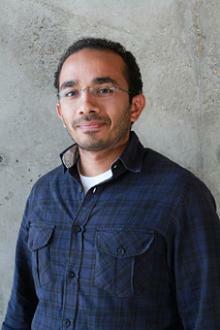 In 2008-2009, He worked in the US as a Designer Assistant. Later, in 2010, he joined the department of camp improvement unit at UNRWA (United Nations Relief and Works Agency) working on the region-wide Urban Camp Profiles project to document and consolidate comprehensive information and data on all 56 Palestinian refugee camps across the fields of operation, with a partnership the GIZ. In 2012, he joined Medina Association – a non-governmental organization that carries out development cooperation activities with developing countries of the world, by using innovative instruments for the urban planning management and the promotion of urban and territorial inclusion in Palestine and Israel. Wesam El-Bardisy, born in 1989, obtained her BSc. of Urban Planning and Design in 2011 from Ain Shams University, Cairo. She was appointed as teaching assistant at the department. During this working period she participated as an organizer and participant in the Summer School “New Urban revolution in greater Cairo“, held by the ASU and the TU Berlin. She also participated in a national competition “khroug“, with prime engineering consultants organized by the British University in Cairo. During her undergrad studies she participated in different workshops, competitions and an international co-operation project at Ain Shams University in Cairo, University of Stuttgart, University of South California and Union for the Mediterranean architects (UMAR). 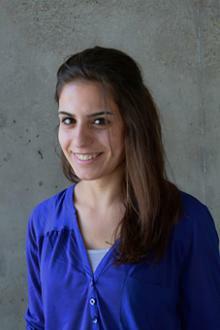 Further she worked on noise and vibration measurements for sound pressure level and noise mapping at MB consultant. Throughout those workshops and studies, Wesam has gained a good practical experience in the fields of urban development, participatory planning, landscape planning and Sound measurements.